Koshien Stadium, home of the Tigers and High School Baseball! 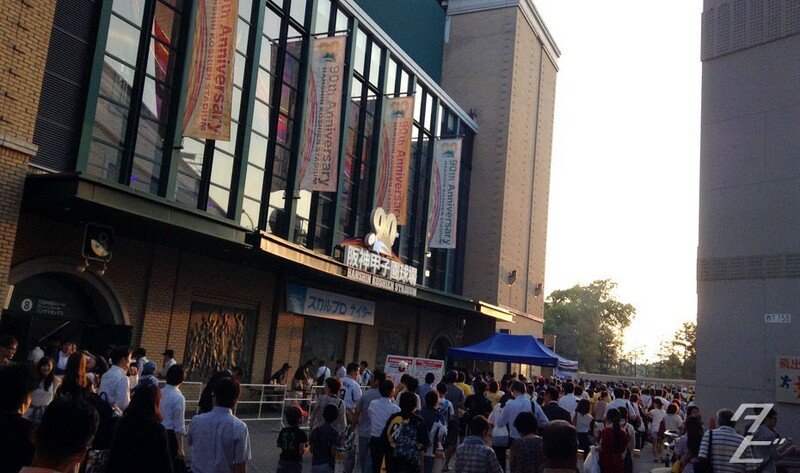 Located in Nishinomiya, between Osaka and Kobe, Koshien Stadium first opened it’s doors on August 1, 1924(my birthday!). Despite repairs over the years the design hasn’t changed all that much, with active efforts being made to preserve the as much as possible. These days, it’s arguably the most famous and iconic stadium in the country. Currently it’s capacity is a very exact 47,757. 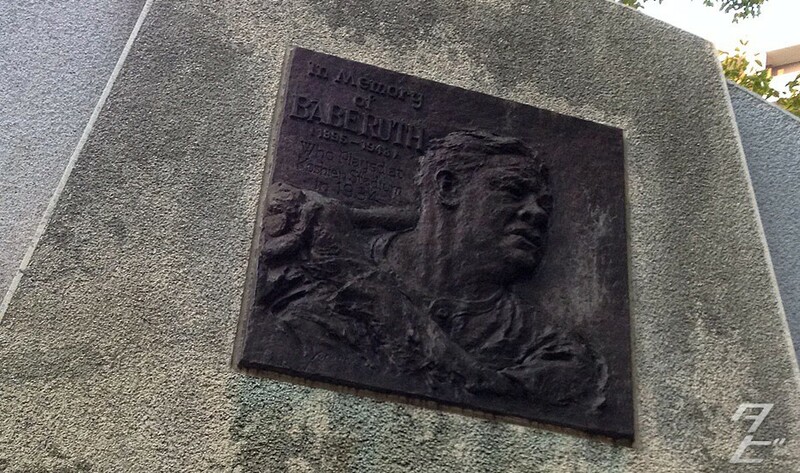 Baseball legend Babe Ruth visited once in 1934 for an exhibition game, outside around the west side of the stadium you’ll find a plaque commemorating the event. The ivy which grows on sections of the outer wall is considered one of the stadium’s well-known symbols. The classic architecture is a nice contrast to the other impressive but modern venues across the country. 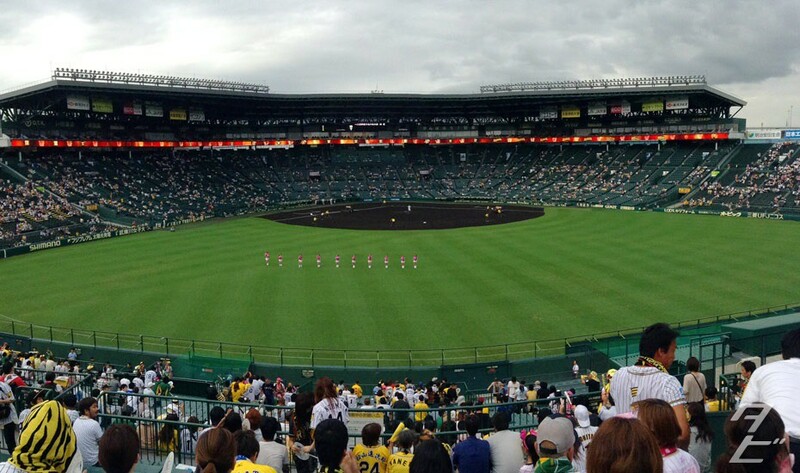 A big plus for me is the fact Koshien is an outdoor stadium, many of the big teams including the Giants, Hawks, Dragons and Buffaloes all have enclosed-dome stadiums. While that makes sense considering the ridiculous weather during typhoon season, for me the atmosphere of an outdoor stadium can’t be topped! Seating is split up into three main tiers, the main stand, Alps and outfield. The main stand is mostly occupied by season ticket holders, and is split into home plate and infield sections. It’s naturally expensive so I spend most of my time in the first base Alps or right outfield, both are good places to be! 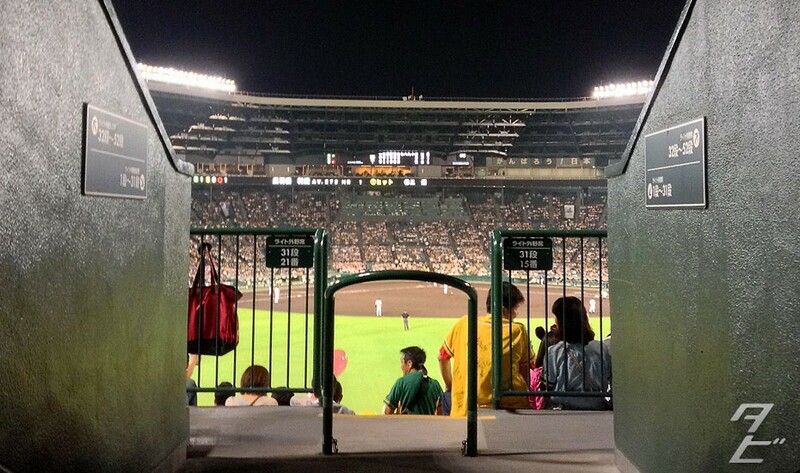 Left outfield is generally the visitor stand, but when it comes to Koshien visitor supporters are generally only in a small section of that stand. If you really want to be in with all the big Tigers fans, then right outfield is the best spot, and strangely also the cheapest. Here you’re surrounded by the die-hards, referred to as Torakichi(crazy tigers fans) – this stand is where all the big banners fly and all the chants and music start from, it’s a great experience! 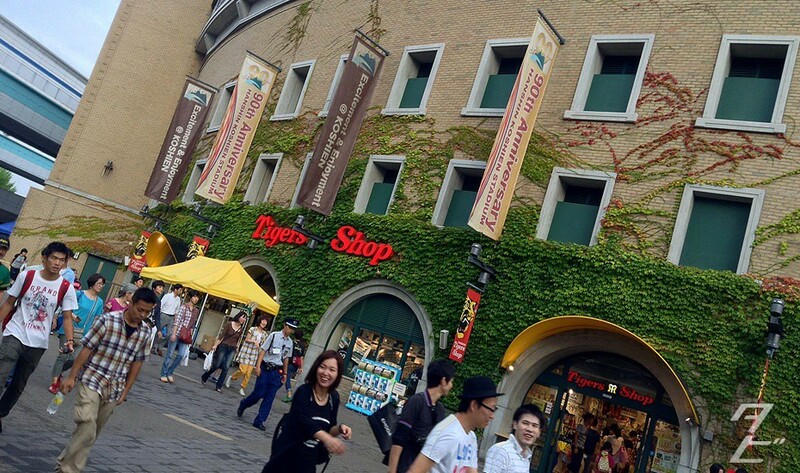 Hanshin Tigers Week: Sunday - After a WIN! I’ll be in the right field stands for the first Giants game of the season! Can’t wait! Awesome, I’m jealous! My work schedule and games clash so badly, but I’m determined to get to as many games as possible!